Next Where does the time go? It is JULY!!! Thanks for the comment … and the little lesson! When I first started Quilting I was gifted so much fabric. Then I started buying and collecting my own stuff from Goodwill and Joann. When I started winning giveaways (I have easily won close to $1000 worth in about 2 years time) I started paying attention to feel and quality. Now I usually buy LQS clearance or online. My absolute favorite is Art Gallery Fabrics but I only by clearance and occasionally sale. That is how it works isn’t it! I feel lucky to have won fabric, as well! It does take a while to find your own way! Thanks for following and for the comment! Quality (and price) of fabric has gone up a lot since I started quilting in the 1980s. Some of those quilts have faded badly. However, I have seen “quilt fabric” that was more like batiste in weight, and clearly that won’t be as durable. Can’t always equate quality with price. I see it is a challenge to use all the fabrics I can find, even the ones that are not suitable at all. 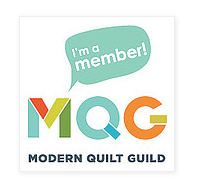 I think it adds a wonderful personal touch to the quilts I make. Love the challenge of it as well and to suprise people how creative you can be when quilting. I am going to remember your tip to use bigger seams though, because hadn’t thought of that and it makes a lot of sense. What I’ve learned myself so far is that it helps to use A LOT of pins when you are using stretchy or flimsy fabrics. Also some are more suitable for certain techniques. Not everything is suitable for needle turn applique for example. Great post. While I agree there is differences in fabric, buy what makes you happy, what you can afford, and what works best for your project. We are on the same page, Lori! Thanks for commenting!